Whether your truths are noble or not, there is room to print them all on this Buddha Statue Flyer . 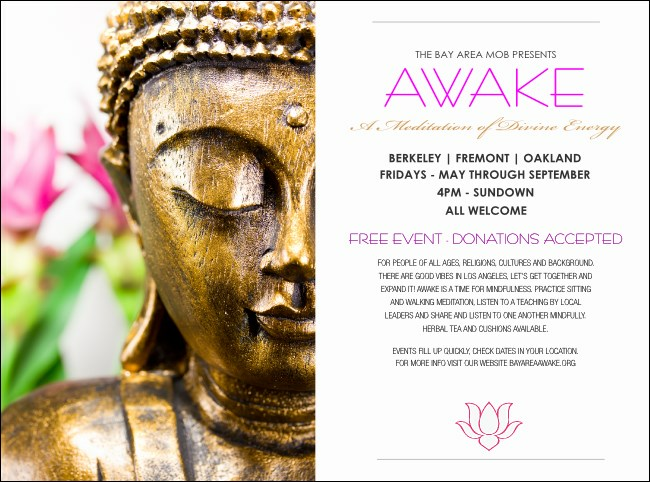 Show your guests the proper path when you include all your event details on this template alongside this peaceful image of the Buddha in meditation along with a delicate lotus blossom logo, and help everyone avoid suffering. Seek subtle Event Kits at TicketPrinting.com.